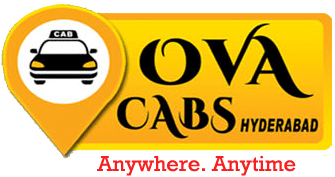 Your search for the Cabs in Hyderabad has now finally got you to us - your reliable cab services company in Hyderabad. These Terms and Conditions contains rules and laws, policies and terms and conditions and agreement applicable to any person who might access or use www.ovacabshyderabad.com, as well as any subdomains, sites or extension of computer network.ovacabshyderabad.com ("Website") and telecommunication media like SMS, email, phone calls etc. (together the "Platform") and you herewith agree and acknowledge to be certain of these Terms and Conditions. These Terms and Conditions ("Terms and Conditions") shall acquire impact on 00:00 hours Indian civil time on 01 Gregorian calendar month 2017. The use of the Platform and therefore the services provided are subject to the principles and laws, policies, notices, terms and conditions set forth or enclosed by reference in these Terms and Conditions. For the needs of those Terms and Conditions, 'User' and where the context might need 'You' (or any variation thereof), shall mean any natural or legal person (including any legal heirs, directors or successors) UN agency has united to become a user of the Platform by accessing or browsing the web site or otherwise, whether or not to avail or rent services on the web site or not, and/or has registered as a member of the web site by submitting identification information/ registration details victimisation the pc system of this web site and acceptive the electronic record of the Terms and Conditions and will or might not have obtained a singular username, a secret alpha and/or numerical key as countersign for victimisation the web site. As a Registered User or different User, these Terms and Conditions shall be effective and binding upon your 'acceptance'. 'Acceptance' shall mean your social action in clicking on 'checkbox' and on getting into data as requested on the registration page or clicking on 'Pay Now' button whereas transacting as Guest User or such different actions that mean your acceptance to these Terms and Conditions and Policies. If you are doing not agree or don't seem to be willing to be certain of the terms and conditions of these Terms and Conditions and our Policies , please don't click on the "checkbox " and don't enter data as requested on the registration page or click on "Pay Now" button and don't request to get access to or otherwise use the website or the Platform.